Hub-e-Rasul Canada is interested in promoting the traditional teachings of Islam throughout Canada. It conducts monthly programs with Quran Recitation, Nasheeds, Dhikr, Mawlid and Islamic Teachings. It also provides a platform for communities to come together and learn from various scholars. To respect all the the Prophets and Messengers of the Divine. Also to spread the Love of the Final Messenger, Prophet Muhammad (S) and to follow in his example of good manner and character. To promote Islam as the way of Moderation, Peace, Love, Tolerance, Acceptance and Good Character and to come against all forms of extremism and hate. 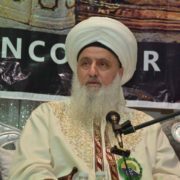 For almost 20 years, Shaykh As-Sayed Nurjan has worked to spread the true Islamic teachings of love, acceptance, respect and peace throughout the world. He has studied with some of the world’s leading Islamic scholars of our time. As-Sayed Mirahmadi has also founded numerous educational and charitable organizations. 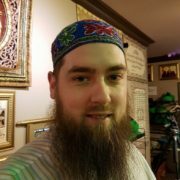 He has traveled extensively throughout the world learning and teaching Islamic meditation and contemplation, understanding faith and Divine support, discipline of the self, and the process of self-realization. He teaches these topics to groups around the world, regardless of religious denomination. Award-winning filmmaker with over a decade of experience in film and television. 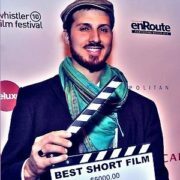 He holds a BA and an MA in filmmaking (from Canada and the UK, respectively), and has worked in productions for numerous clients internationally. He is presently working towards entering the Director’s Guild of Canada (DGC). He feels honoured to be a part of this exceptional team. 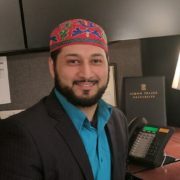 Junaid Khan holds a degree in Psychology from Simon Fraser University, as well as, an Associate of Arts Degree from Langara College. Currently, he is the Manager for the Annual Giving Department at Simon Fraser University. He manages the University’s call centre which includes overseeing 50 employees to fundraise for Scholarships and Bursaries. Through this TV Show, he is looking forward to spread a positive message and to build strong community relationships. Zeshan Ahmad is an IT Analyst with 12 years of experience in technology and media consulting. He holds Bachelor Degree in Computer Science from International Hamdard University. Zeshan is dedicated to make this show a success and looking forward to answer your questions. 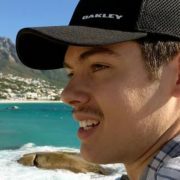 James Yahya Gaffney holds a BA in Urban Geography from the University of British Columbia. 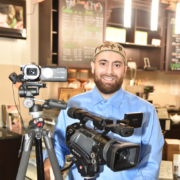 He currently serves at the Rumi Rose Garden Cafe & Market in Vancouver, and is very excited to be part of this talented team! 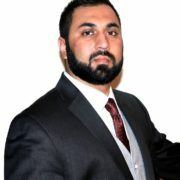 Taufeeq Kashtwari holds a degree in economics and labour studies. As well as a certificate in business administration and liberal arts from Simon Fraser University. 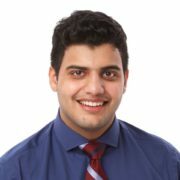 He is currently working in the financial industry with TD Canada Trust Bank. Taufeeq is looking forward to help you grow your business and build your relationship with Hub-E-Rasul. With over 12 years of experience in providing professional technical and AV services to transnational corporations from around the world, he is thrilled to work on an outstanding project with an outstanding team! He holds a BASc Engineering degree from UW. Clients he has work with in the film and television industry include Warner Bros. Pictures, Twenty-First Century Fox Film Corp., RatPac-Dune Entertainment, Sony Pictures Entertainment Inc., and Atlas Entertainment.